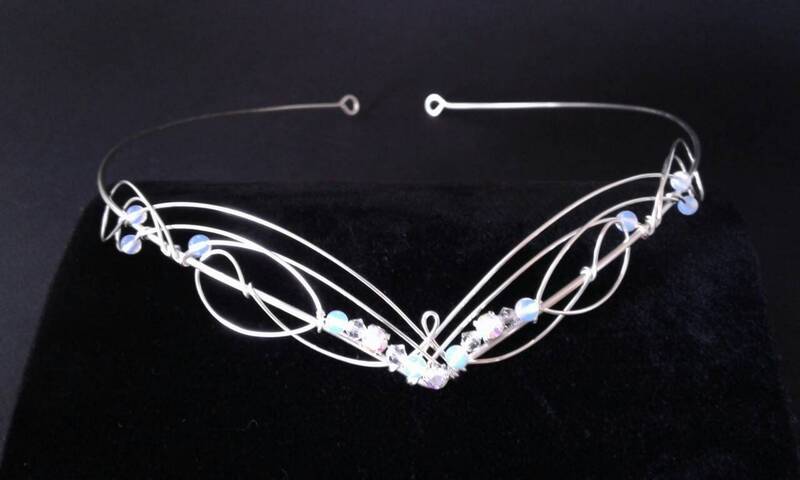 Beautifully unusual opalite moonstone, aurora borelalis diamante & Swarovski crystal wedding circlet. 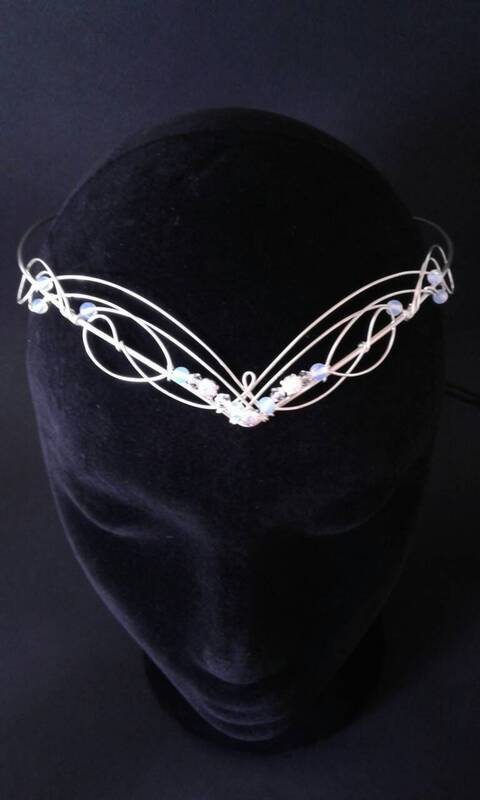 Made entirely by hand using just two pieces of silver plated wire to emulate traditional Celtic knotwork. 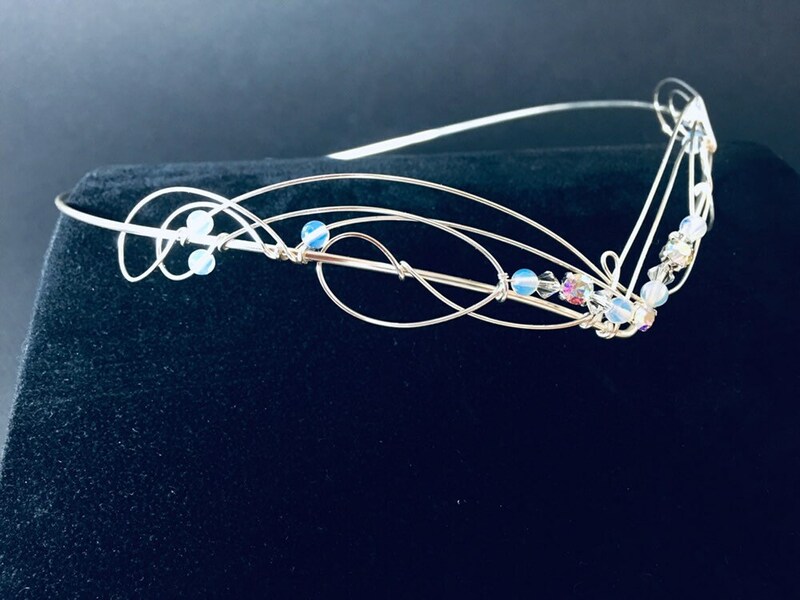 The centre has a cluster of Opalite Moonstone, aurora borelalis diamante and tiny Swarovski crysrals and round Opalite moonstone scattered throughout the design. 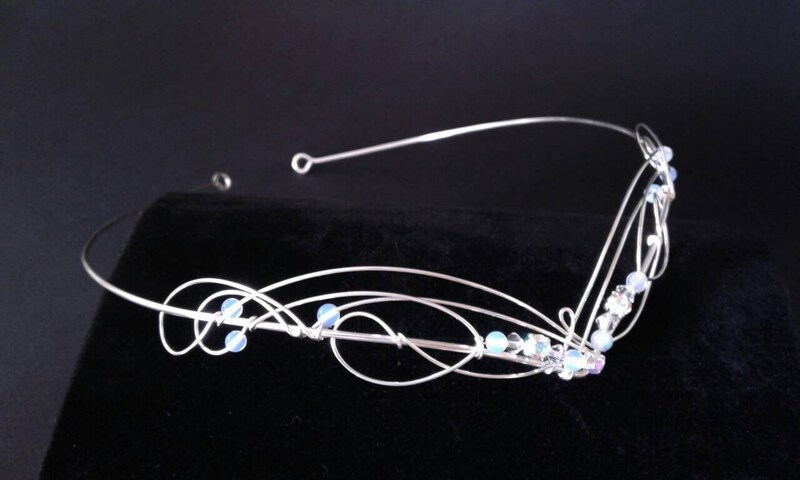 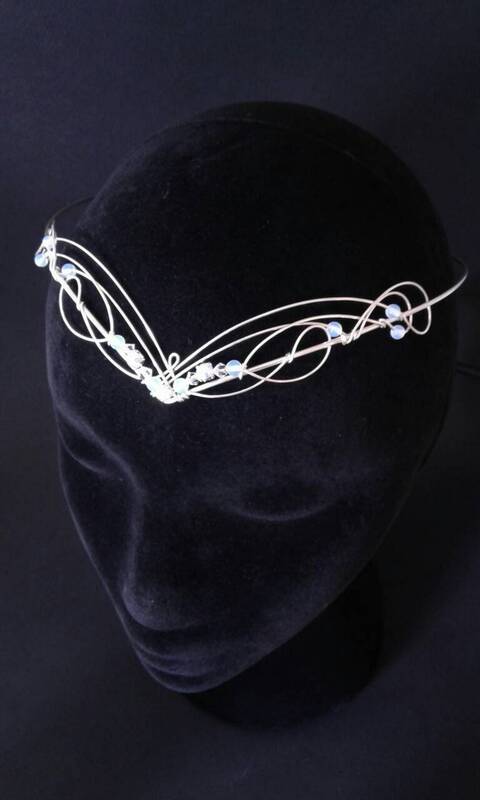 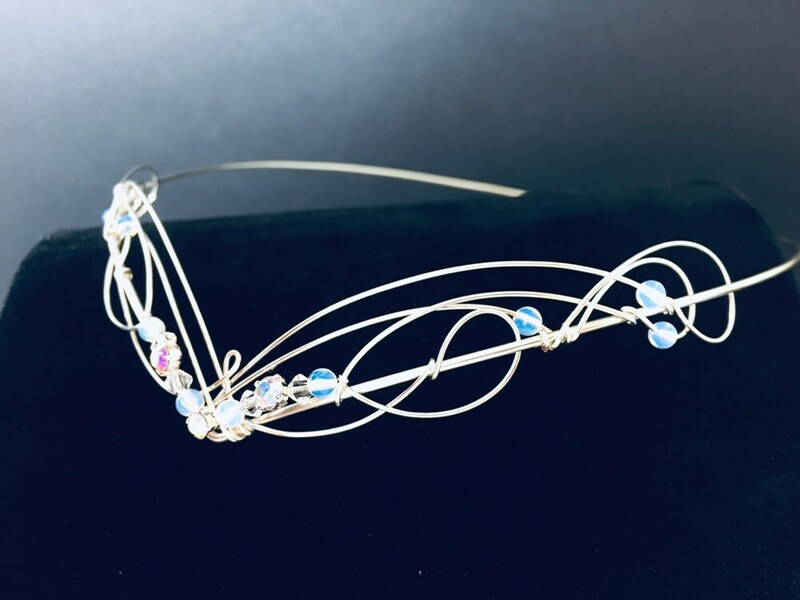 A wonderful alternative to a traditional tiara and perfect for Elven, Celtic or Medieval themed weddings. 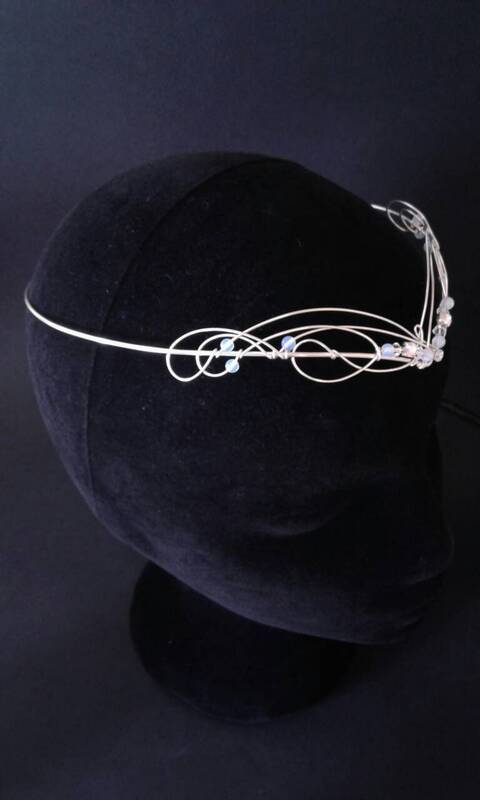 Designed to be worn on the forehead or hairline, the circlet should be tied or pinned into place. 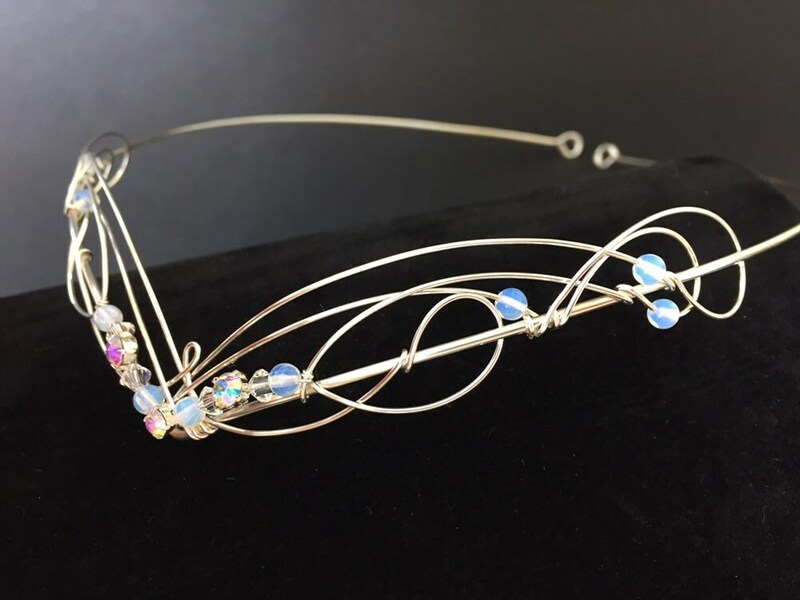 The circlet measures 17cms (7 inches) across , (half an inch) in height at the centre and is 52cms (20 inches) in circumference. 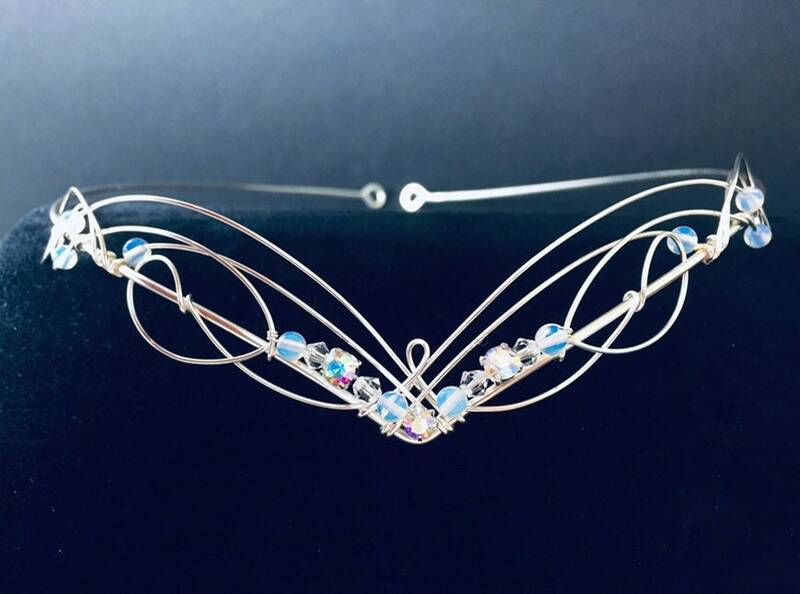 Designed and made in the beautiful county of Kent, England.